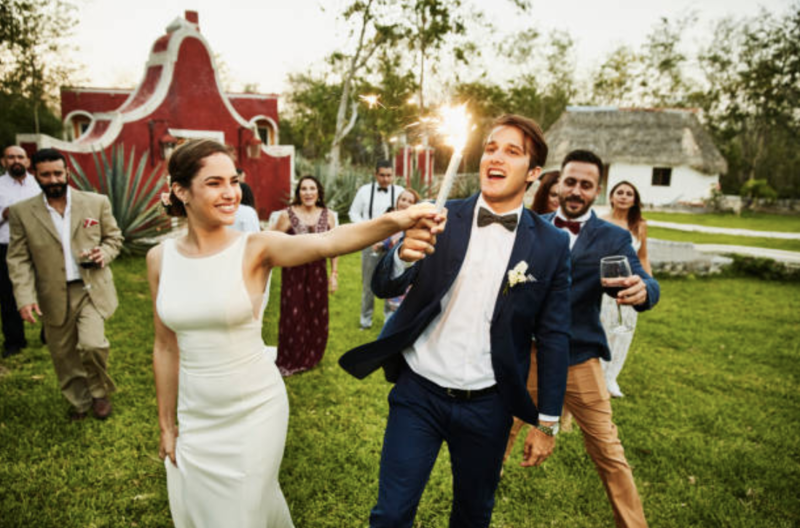 Whether you want to pepper in a few classic Latin tunes, or plan a full-on bilingual affair, we understand the importance of nailing the perfect cultural balance for your big day. After all, your family and loved ones are an extension of your marriage, and we want them to woven into the fabric of your event. We sat down with our very own DJ Martin to discuss tips and philosophies to check all the boxes, and ensure a night to remember. GLT: ​Can you tell us a little bit about the music you grew up listening to? Martin: Growing up I would listen to a lot of Norteños (Mexican country music) because of my mom. The music she played would fill up our home while she’d cook and clean. I still have images of her dancing and singing along to the music as she went about her chores. As I grew older, I loved listening to rock, especially classic and alternative. When I got to high school I was introduced to Hip Hop and House music and was instantly hooked. To this day, 90s hip-hop is still my favorite era (even though I do keep up with today’s music). GLT: As a private event DJ, I always ask my clients for "Insider Info" about songs and artists that hold a special place in their history. What's an example of a song that you personally tie to a "warm and fuzzy" memory that might be a good option to mix into a dinner playlist for instance? ​Martin: The song that makes me feel nostalgic is a song called “Suena” by Intocable, my sister would have this song on almost every time I would walk into her room, and so I think of her every time I hear it. GLT: Now, let's get down to brass tacks - Do you have any general tips for someone planning a multi-cultural wedding? 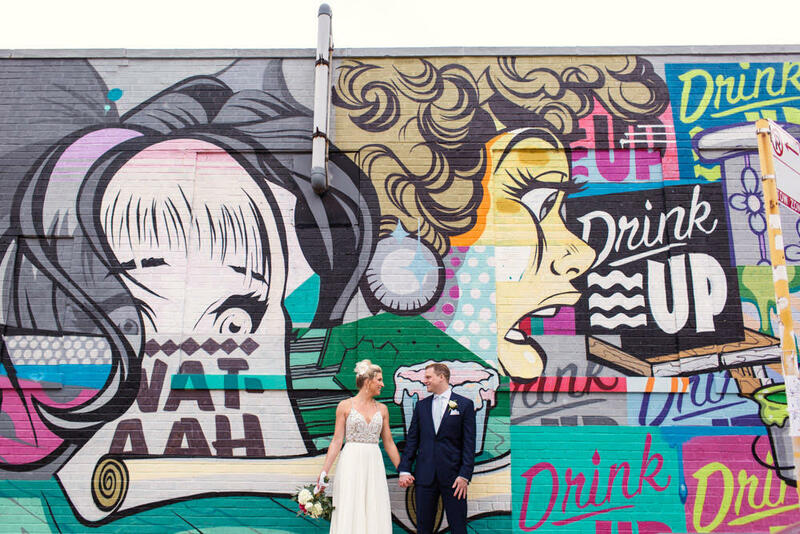 Martin: The number one thing I always tell clients is that planning your wedding is a great excuse to research and learn more about your culture! Every culture has a plethora of traditions, some of which can be lost with generations, so I always say don’t be afraid to do some digging and find out more. Ask your grandma or even do some Google searching to weave new meaning into your event. Not only will this pay off by making your family feel included, but it will weave a new personal story into your memory book. The unique combination of different cultures we experience in the US can yield endless unique combinations, and a mesh is never a bad thing, so long as you stay true to your own personality and roots. Take for instance, the Dollar Dance at a Mexican wedding. While it is a common Mexican tradition, I’ve had couples request American music for the dancing. This way, they put their own personal twist on it! 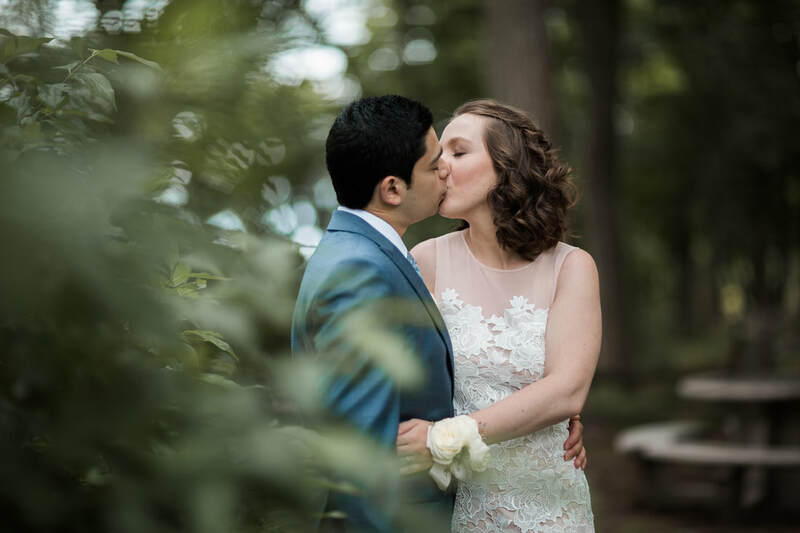 GLT: Any other hot tips to help ensure smooth sailing for those planning a Latin-American wedding? Martin: This one might be obvious, but be sure to hire an experienced DJ! I cannot stress this enough, multi cultural weddings are a challenge in their own, having a DJ who is bilingual who can MC and can play music for both sides of the family really goes a long way! Also, ask the DJ if they are familiar with any traditional dances your culture may have and how you can incorporate them into your wedding. GLT - On that, note what's your philosophy on MCing a bilingual wedding? Any tips or suggestions to make all guests feel included? 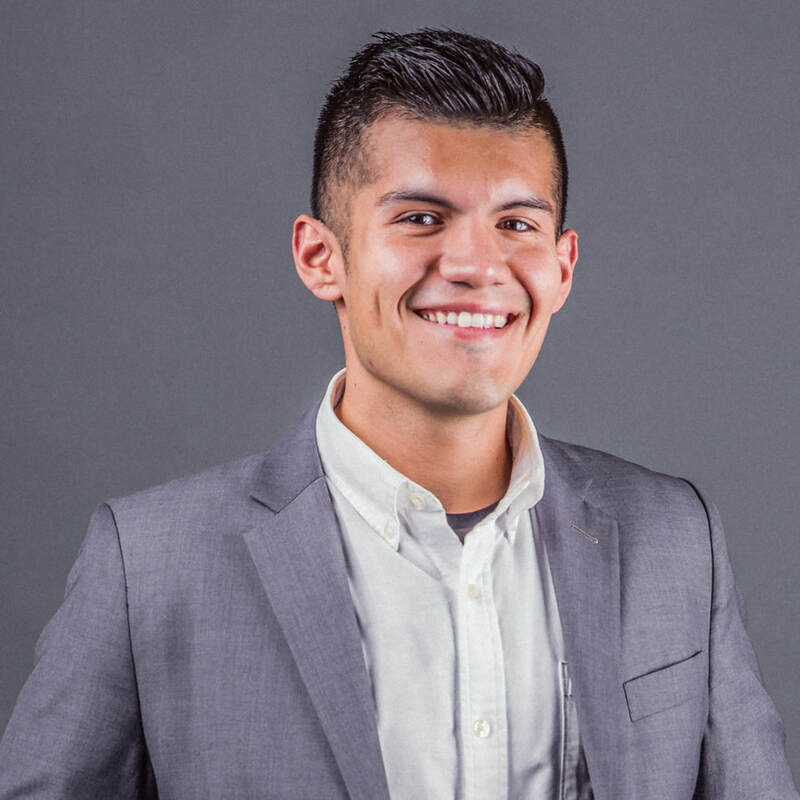 Martin - Whenever I MC a bilingual wedding I ask the bride and groom how much English/ Spanish they want me to use through the evenings. Most couples prefer me to MC everything in English and to mention the important items (cake cutting, bouquet toss, etc.) in both English and Spanish. I like to make jokes in both English and Spanish to make everyone feel welcome and to lighten the mood in the room. I have had couples that prefer the majority of the Wedding be in Spanish with only some things being announced in English. When speaking to the parents, I normally introduce myself in English and then based on their responses, will speak to them in either English or Spanish. Ultimately, it’s up to the Bride and Groom and what they feel comfortable with (based on their guests). GLT - Can you suggest some "crossover" songs or artists that tend to work for both a Latin & American crowd? (For more ideas, check out Martin's "Latin Wedding Spice" playlist). GLT - I'm sure it's hard to choose, but can you describe one of the most memorable moments you've experienced DJing a multi-cultural wedding or event? For more info on DJ Martin, you can check out his mixes, bios and reviews HERE. 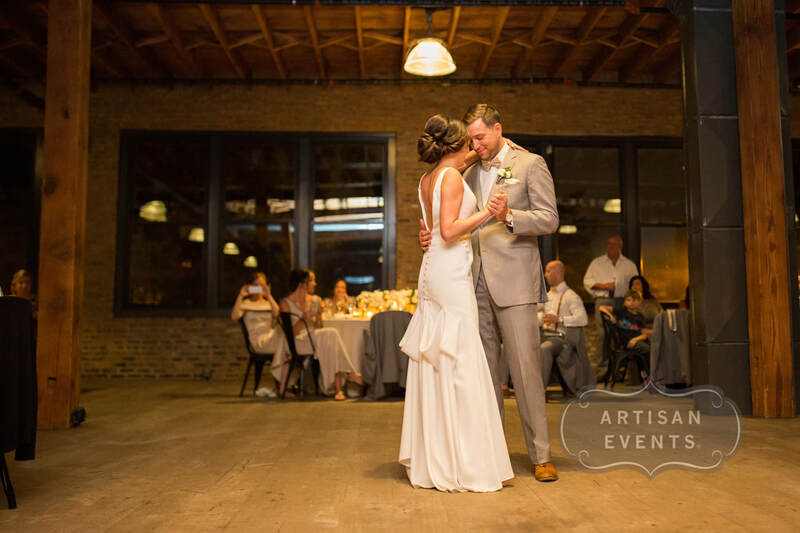 DJ Zach had an amazing time rocking the dance floor at Jess & Steve's wedding, hosted at Artifact Events this past June. We can't lie, the Do-Rite donut table is our new favorite dance party fuel! Big ups to Five Grain Events for keeping the show running smoothly, and for posting this amazing collection of photos on their blog here. 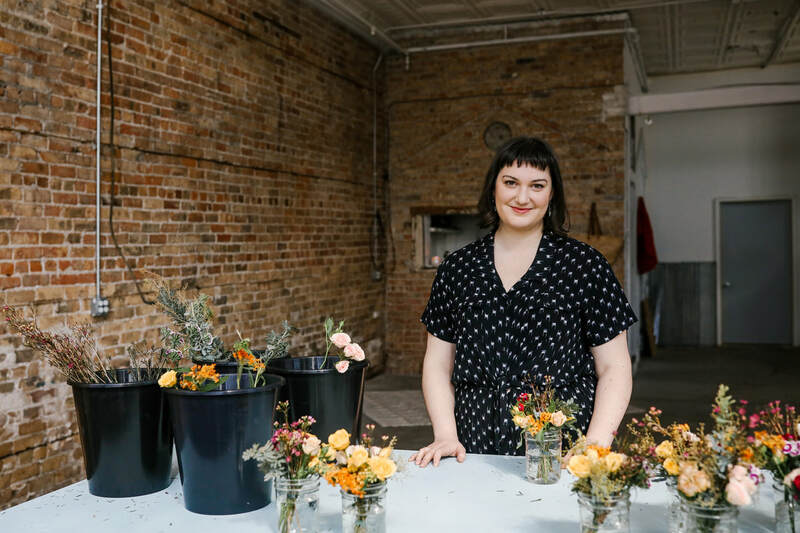 We are excited to feature the unique and brilliant Nikki S​egarra of Thistle + Twine Atelier in our latest Vendor Spotlight! 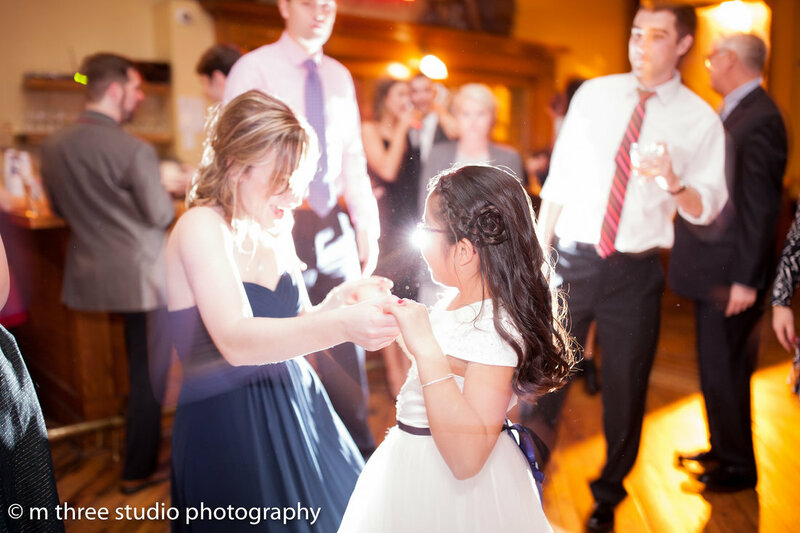 If you're looking for a Fine Art approach to your special event photography, Nikki is the girl for you. 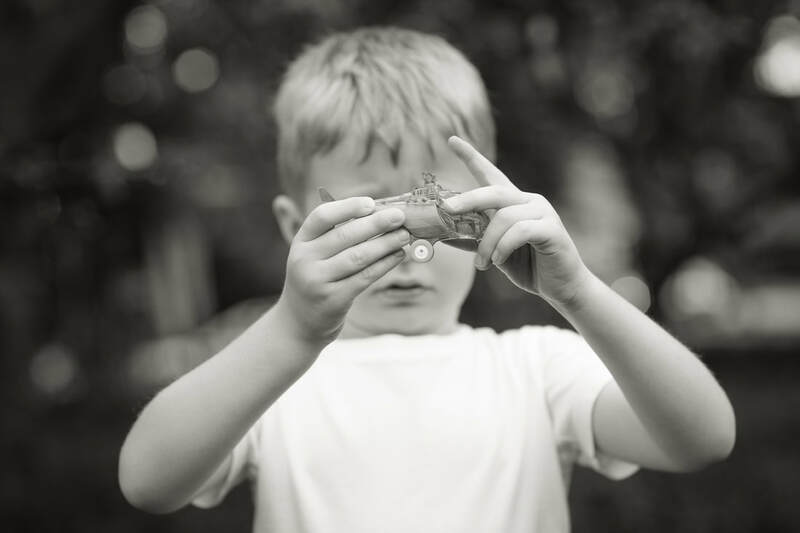 While adhering to eco-friendly guidelines, Nikki draws upon her background in integrated media to add a special twist to her documentary-style photography approach. Her large format film portraits, and handmade keepsake boxes offer a memorable one-of-a-kind presentation to your special memories. 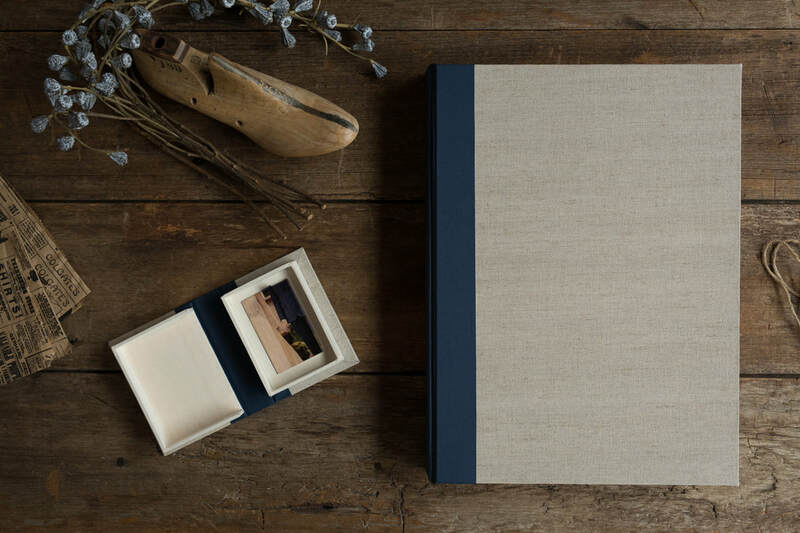 (Yes, she even offers a wooden USB stick tucked inside a faux linen-bound book to deliver your photos!) 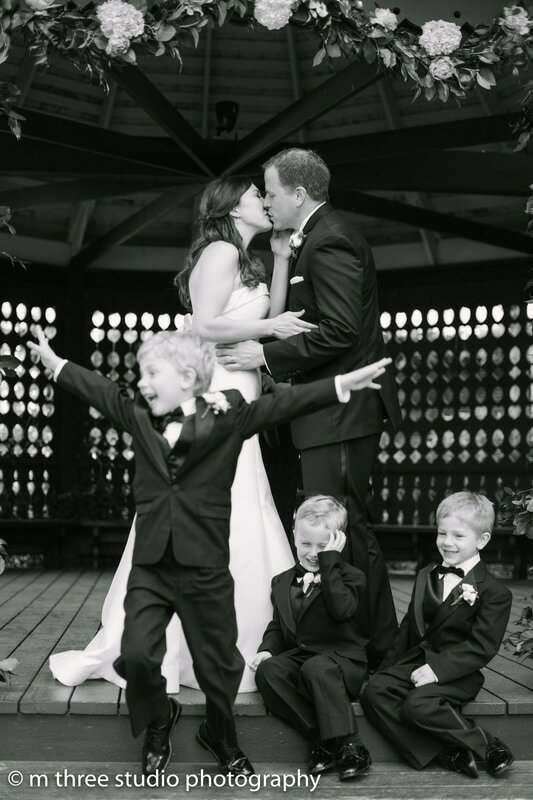 Read on to learn more about Nikki's special knack for encapsulating the moments that you won't want to forget. 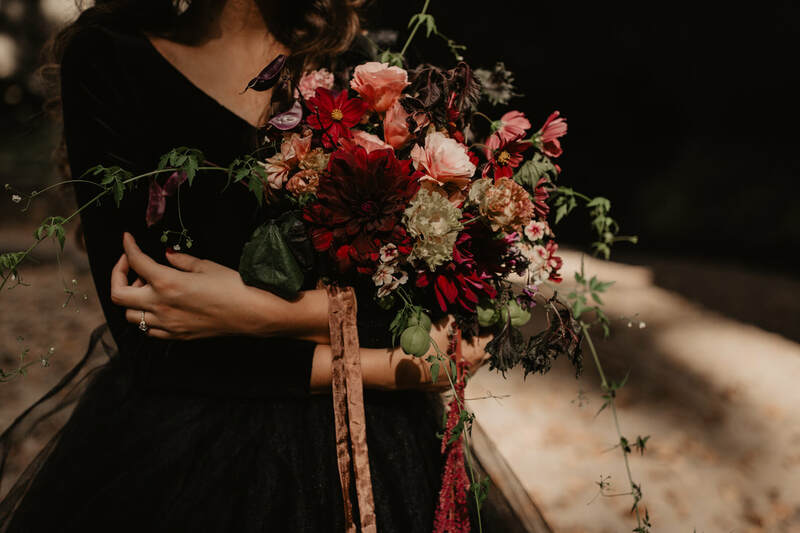 We have to start out by saying that you have one of the most standout approaches we've seen in the world of wedding photography, particularly with regard to your packaging and presentation. Can you tell us a bit about how you developed this technique? Was this something that you developed naturally as a results of your fine art background? Well, my graduate studies were very much focused on experimental photography and mixed media. I'd say that it was my time as a student where I developed a love for the object - something tangible that can be touched and experienced on a more intimate level. I found myself printing on dresses and handkerchiefs, making giant scrolls with wood and silk, and then I discovered the art of bookmaking. I really fell in love with that process, as well. The idea for integrating USB and keepsake boxes into my wedding work was a lovely accident. As an exhibiting artist, one that often shows objects rather than just prints, I needed something to transport my work to show curators, etc. I decided to make a portfolio box for my fine art work (my first keepsake box prototype!). I didn't realize how great of an idea it was until I had people asking me to make boxes for them, as well. Thus became the inspiration for the wedding boxes. The USB box is my favorite. I just love that it looks like a book - and that it contains this one wooden object that keeps safe your very own story. One of our favorite Heirloom Boxes offered by Thistle + Twine. You seem to infuse a very “analog” feel to your products, without printing off books and books of paper photos. 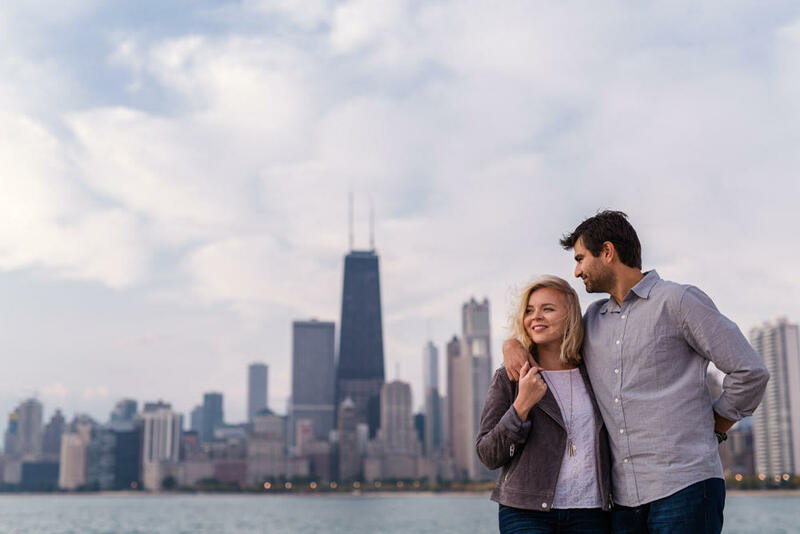 What are some of the ways we can ensure an eco-friendly photography package, without sacrificing style? I think it's a balancing act, for sure. It's primarily it's a lifestyle choice. My personal habits are integrated into my business. I recycle persistently, I avoid purchasing plastics, and I'm rarely seen without my giant metal water bottle. Many of my eco-friendly business practices include paperless contracts, quotes, invoices, etc. I use rechargeable batteries, I recycle equipment properly, I use a digital gallery for proofs, rather than a book, and my marketing materials are eco-friendly, too. The boxes that I make are from 100% recycled book board, and I package them with recycled packing paper, nicely wrapped and tied with natural twine and dried flowers that I have somehow inherited over the years (eco friendly, yes! But, with a touch of pretty). I often deliver my products to my clients if they are local, but I also re-use boxes when I have to ship. Out of my two album options, my classic album is sourced from an eco-conscious company, using 100% post-consumer fiber, and is even produced using wind-power electricity. They make solid products - the best I've seen that can claim to be eco-friendly. My prints and my heirloom albums, and of course my film portraits, are of the finest quality, and are not 100% recycled, and film does require use of chemicals to process, but these are offered responsibly, and are produced in very small quantity, as objects and images that will surely be kept and treasured - not thrown away. With what I am unable to sacrifice in quality, I do my best to make up in all other aspects of my business, which is where the balancing act comes in. 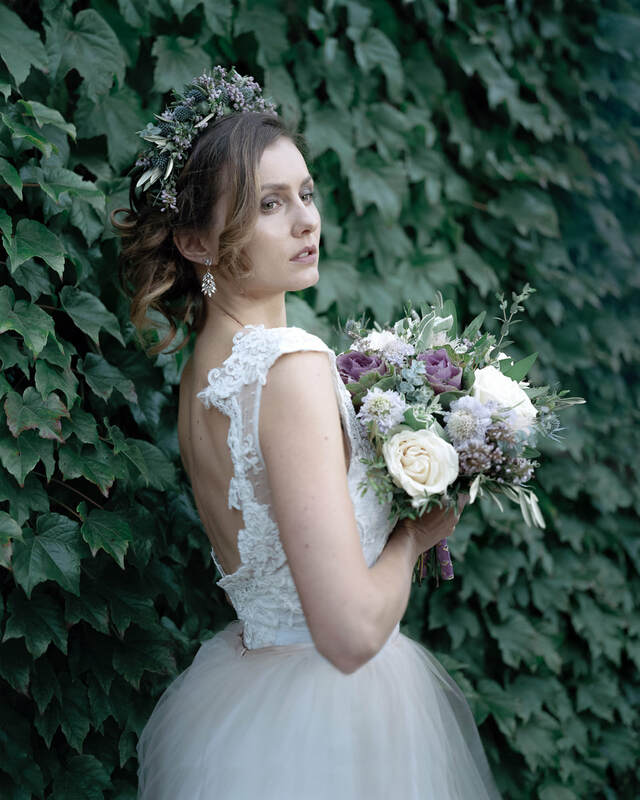 Above: Somehow, Thistle + Twine seems to lend that coveted mystical mermaid look to all bridal photos. Can you tell us a bit about your handmade brass/large format camera work? Has your experience with this technique informed your digital photography work in any way? Very much so. Photographing large format film portraits is quite different - think 19th Century portraiture, with the photographer hiding under the curtain. There are movements in the camera that allow you to shift the focus. Every tilt and shift becomes a creative choice for what the image will be. The focus is delicate, as well. Only one sheet of film is placed in the back of the camera at a time, and this sheet film is quite expensive. So it means, that every frame that is shot is 100% crafted with intention. It is slower and more expensive, but the quality - it is ever so luscious. What this technique has taught me is to take ownership of the frame. To trust my eye and my instinct. This is very much translated in my digital photography - I tend to shoot rather formally - clean lines and thoughtful composition. I prefer to choose the perfect shot or two, rather than relying on shooting a dozen frames of the same image. In the same vein as my eco-conscious self, I choose quality over quantity. A few samples of Nikki capturing honest moments with clean lines. As a former radio DJ and avid listener of records, we have a hunch we might have a proper music buff on our hands! How do you prefer to discover new music these days? 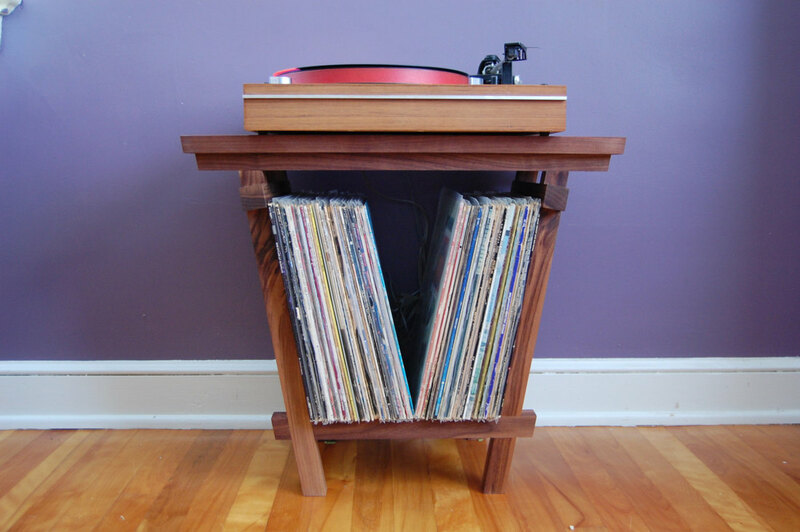 Are you thrifting through the dusty crates, or are you a fan of the new streaming and playlisting culture as well? Any new and amazing discoveries lately? Discovering new music was so easy when I had an entire (analog only!) radio station's music collection at my fingertips. Back then, I hosted a show that only played 7-inch vinyl. You can imagine how obscure my set list was! I still listen to V89.7 FM in Tallahassee for inspiration, and I enjoy Chirp Radio, as well, which is Chicago-based. There's also the occasional record searching adventure, or a work day spent at Cafe Mustache, where they play all vinyl. My favorite vinyl discoveries tend to be something folky, some jazziness, maybe some rockabilly, or 60's french pop - basically anything that you can imagine playing in a Tarantino film. Spotify is such a great tool for discovery, as well, with their custom discovery channels. For instance, I am just about the biggest Future Islands fan, and I just discovered a side project called The Snails via my discovery channel. They are really good! Another recent favorite is Shannon and the Clams. Can't get enough of them! ​The ocean seems to play a big part in your personal aesthetic. How do you manage to infuse a healthy dose of driftwood and salt into your life as a midwesterner? Does your schedule allow for the occasional pilgrimage to the sea? Oh, I miss the sea every day! When I first moved to Chicago, I had every intention of moving back to New England - but then I discovered how incredible this city really is. One of the perks of being a wedding photographer (other than how awesome it already is), is that my schedule can be relatively flexible. I've put all of my focus into Chicago within the past few years, but I hope to set myself up with an annual visit to Cape Cod, where I can make work and get reconnected with my art and my ancestry. I've also considered an artist residency which entails spending a month on a ship and traveling from the West Coast to China, working on my next personal project. If that doesn't pan out, I am speaking with someone about gaining access on a boat in Lake Michigan, for starters! Time will tell. Well, there you have it, guys! 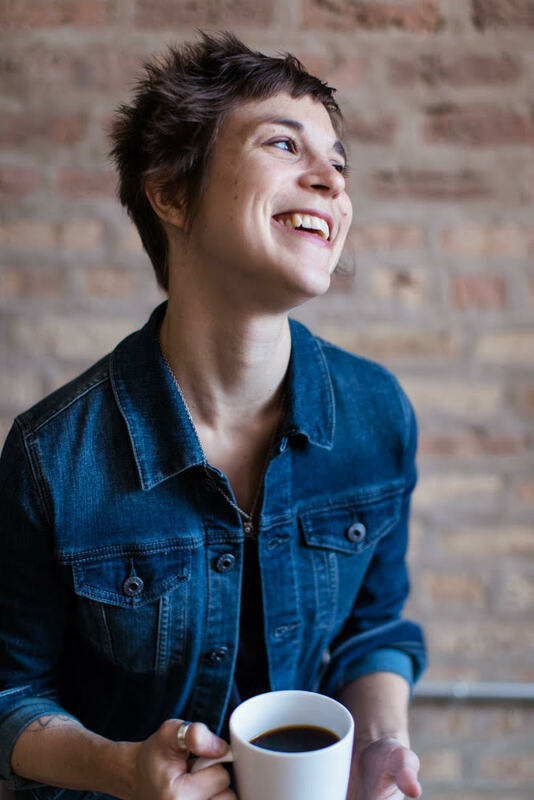 If you'd like to work with Nikki, you can find her out steering a ship somewhere out there on Lake Michigan, or otherwise at her website: Thistle + Twine Atelier. 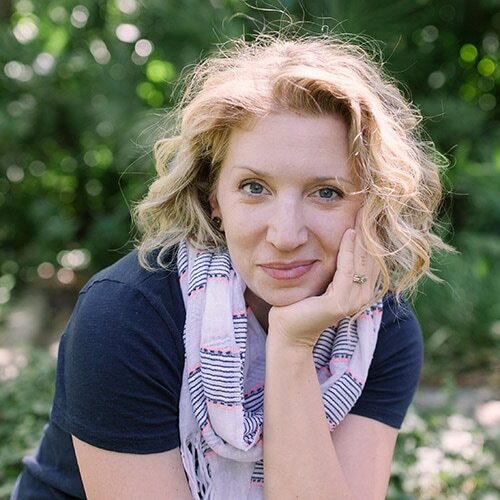 It was a treat to talk shop this past week with Chicago-area photographer, Emma Mullins of Emma Mullins Photography. 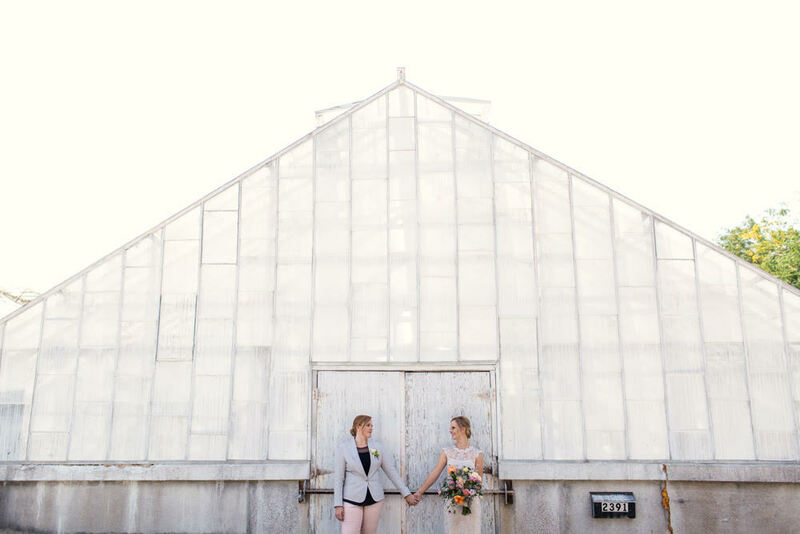 Originally from Wisconsin (she is still active in the Milwaukee-area), Emma has traveled the world to develop her unique approach to docu-style event photography. Not only does Emma have a cool and capable energy (ideal for that potentially frantic wedding day photoshoot! 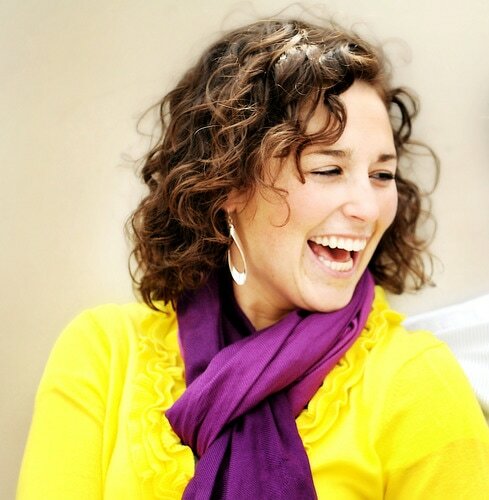 ), but she is one of the most responsive and positive vendors you'll find. (Yes, we are suckers for anyone who responds to our emails within 5 minutes!) 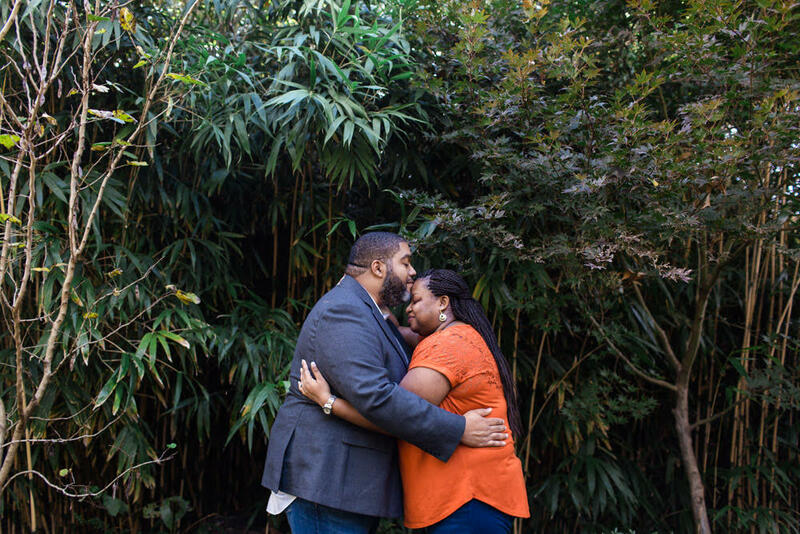 Read on to learn more about Emma's influences, knack for capturing an urban landscape, and how to make the most of your relationship with your photographer, even if you're a bit camera-shy. 1) After perusing your portfolio, it seems like you have an affinity for a fair amount of hip, edgy, fun clientele. Would you say this is something you've sought out, or have these clients just magnetically gravitated toward your work? Oh wow! I suppose a lot of my clients do fall into the hip and edgy category – and yes, the point (to me) of being photographed is to have fun! That’s definitely something I encourage with my couples at all times. The work shown in my portfolio is based on a number of factors, including what I love to shoot the most. As much as I enjoy nature and outdoor weddings, I’m definitely a city girl. Urban landscapes can be just as breathtaking as natural ones – and provide so many options when it comes to photography! I think it’s fair to say I seek out couples who possess a similar style and vibe. 2) It sounds like you are a pretty experienced world traveler. When you're on a personal adventure, do you always bring your eye for composition to document the experience, or do you prefer to put the camera down? Do you have a favorite photo from your travels? This is a great question. Traveling has been a part of my life for as long as I can remember – it’s actually how I got started with photography. I don’t know what I would do if I couldn’t visit new places. I still always bring (at least one!) camera with me whenever I travel, but in recent years have made it a point to enjoy my travels from a non-photography standpoint as well. Of course, I still end up with tons of travel photos! I believe every trip is worth documenting if you have the chance. 3) As a self-described “documentarian,” can you cite any specific photographers or filmmakers who've inspired your aesthetic and approach? Two documentarians that come to mind are Sophie Calle and Errol Morris. I really admire the way each of them approach storytelling and have incorporated their personal lives into their work. I know it’s cliché, but another photographer whose work I will never tire of is Ansel Adams. I even spent a summer out west visiting a lot of the same locations and monuments he has made so famous in his life’s work. 4) Is there a perennial tip that you share with all of your clients when it comes to planning the approach to their photography package? Or is it more of a case by case scenario? Every wedding day is different, just like every couple is different. It’s pretty case-by-case. 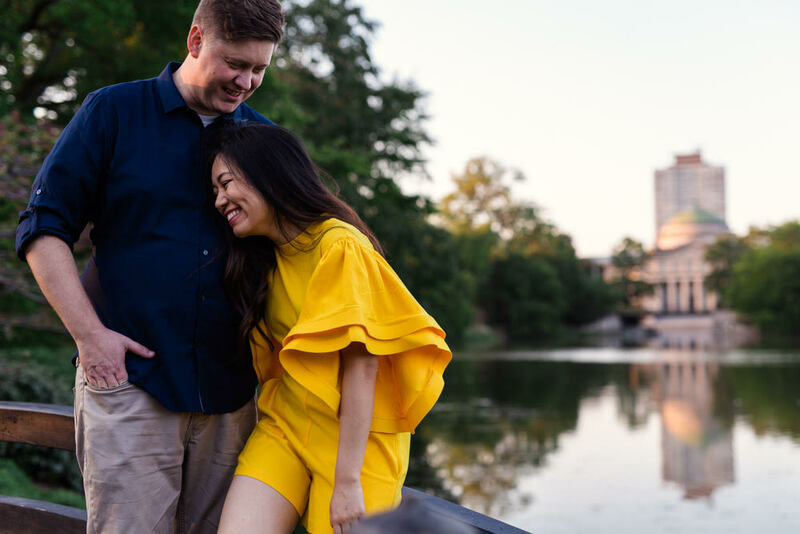 If there’s one thing I always recommend it’s adding an engagement session, so the three of us have a chance to hang out together before the wedding day. The more used to each other we are before their wedding, the better their photos will turn out! It’s the very best thing couples can do to prepare - especially for particularly camera-shy individuals. 5) It seems like photography involves a healthy amount of being out in the world, but also editing behind the scenes. Do you prefer one part to the other, or do they each have their own pros and cons? 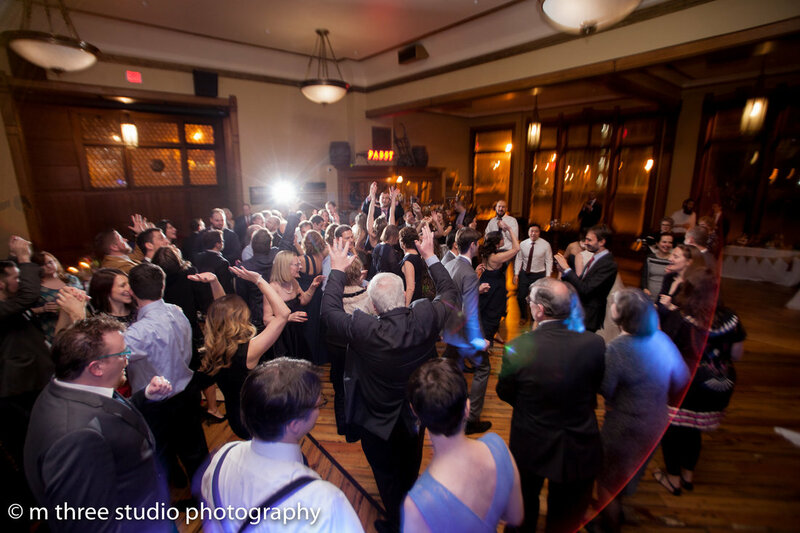 DJ Kyle Had A Blast at Ali & Ben's Pabst Brewery Wedding! 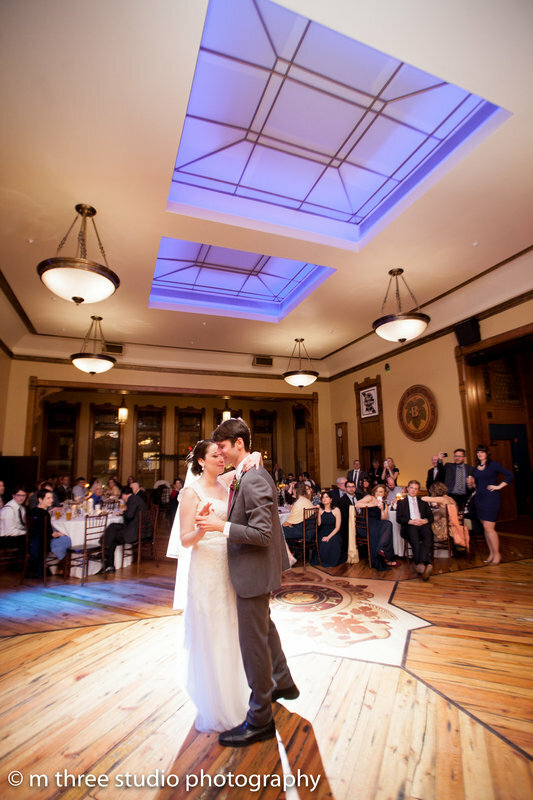 We are huge fans of Best Place at the Historic Pabst Brewery, and even bigger fans of newly betrothed music buffs Ben & Ali! 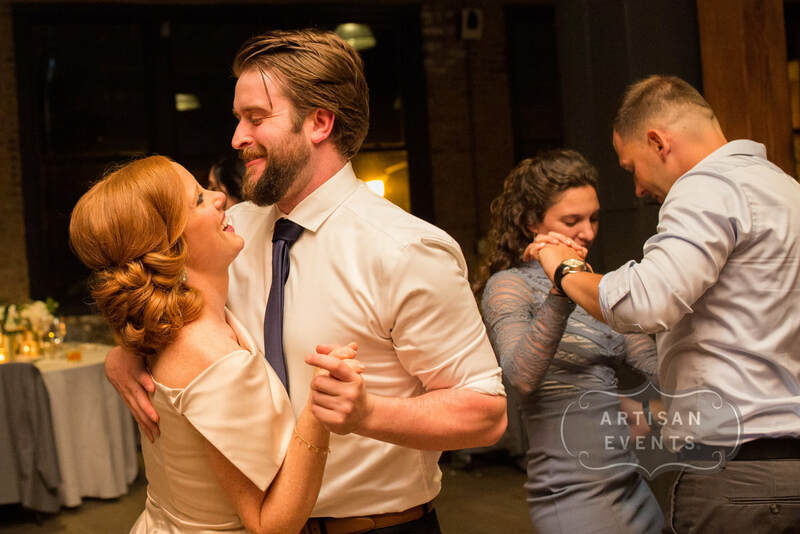 DJ Kyle had a blast working the dance floor for this fun crowd and soaking in all of that seemingly "effortless cool" that this couple worked hard to curate. 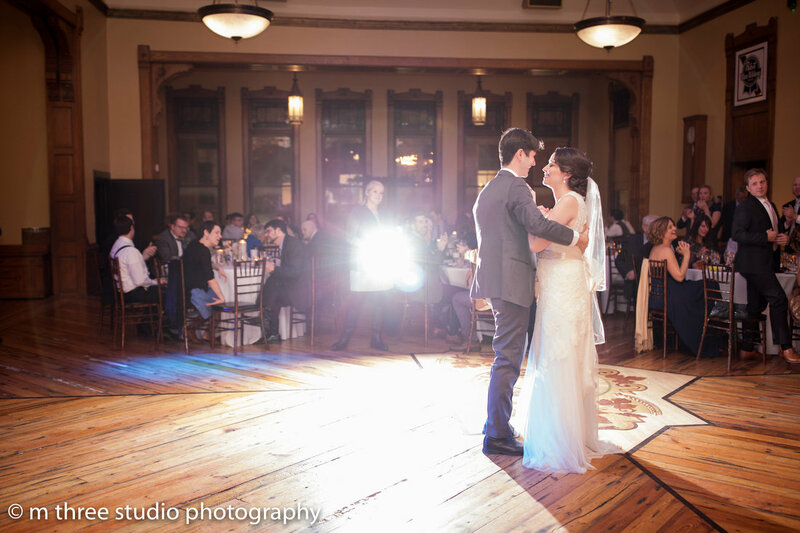 A very special thanks to Molly at m three studio photography for capturing some of the dance floor action below. You'll be hearing more from her on our blog soon! We cannot tell a lie: We are obsessed with our nests and thusly longtime fangirls of Apartment Therapy. Who else better to trust when going down an endless rabbit-hole on the best Scandinavian throw blankets, or why every civilized human should keep a squeegee in their shower?! 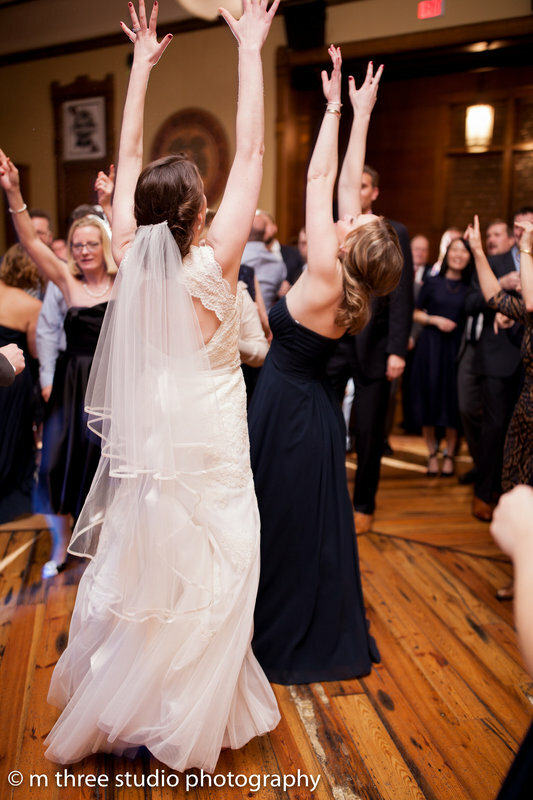 So when the fine writers at Apartment Therapy asked us to share some wisdom about curating the perfect wedding playlist, we were thrilled to join in on the convo. For first-time planners, do you have any rules of thumb to help separate the men from the boys when it comes to selecting a videography team? Any suggested questions to ask? 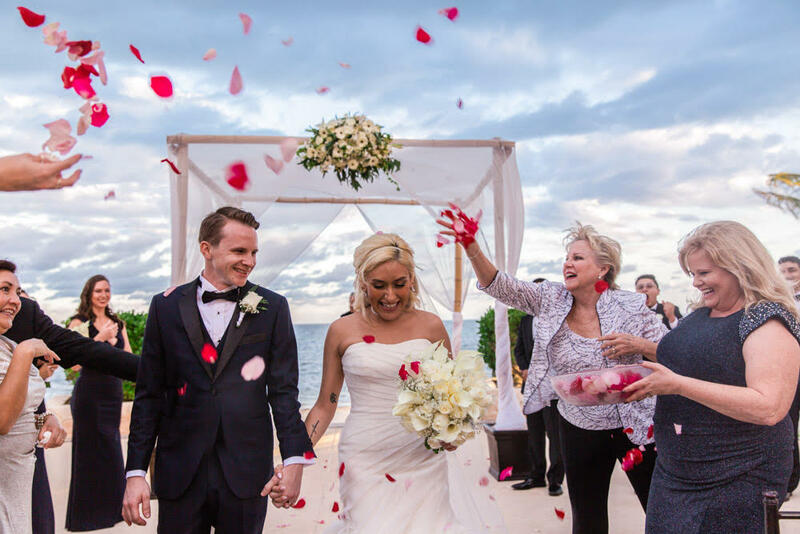 In my opinion, the most important element in hiring any vendor for a wedding day is to hire people that will honor the experience of the bride and groom and their guests as the most important priority of the day. It doesn't matter if the most amazing wedding film is created if it is done at the cost of negatively influencing any one person's experience. 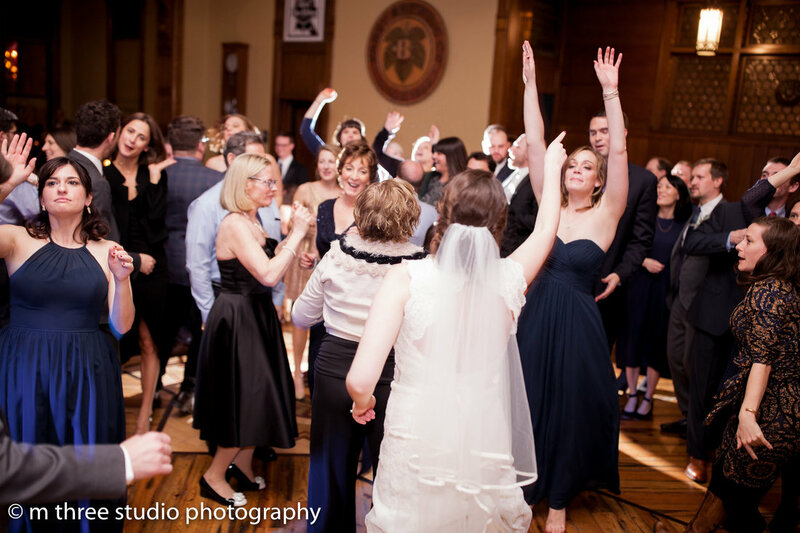 Bottom line - if the bride and groom are not having fun than I am not doing my job. As a camera-shy person myself, I know I can sometimes come across as uncomfortable on video. Is there a trick that you pass along to clients to help get over that hurdle, and ensure a more natural, fun cinematic memory? At Green Line, we've accidentally discovered that musicians tend to make great DJs. Would you say that your musical background has also somehow informed your shooting/editing aesthetic? My musical background has played an enormous role in shaping my approach to documentary/wedding filmmaking. Being able to improvise is crucial because, as much as i may know about the itinerary for the day, something is always there to surprise me. Being in the right place at the right time is the name of the game and the only way to do that is to be aware of my surroundings. I relate this to playing music because, being a member of a band, it is important that everyone is listening to each other and working as a team rather than trying to be the star of the show. 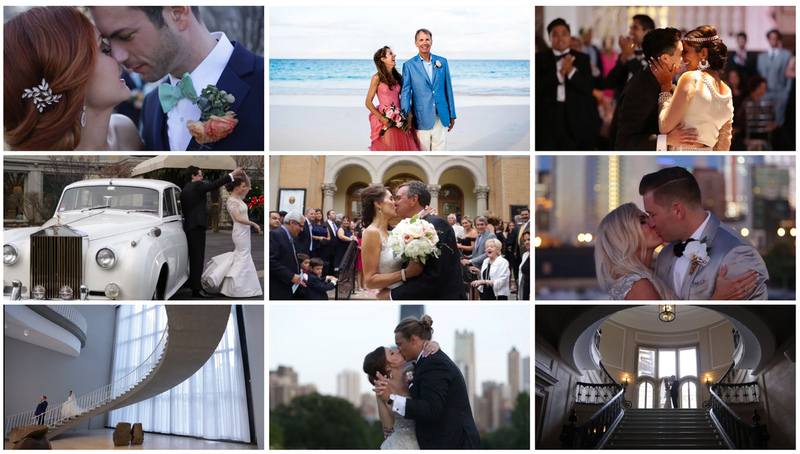 ​A few of the impossibly picturesque shots by LEAP Weddings. After working hundreds of weddings and events, I feel like I've seen it all (Mark Twain impersonators, Drag Queen Kicklines, Star Wars Wedding Processionals, etc.). Can you tell us about one of the funniest or most unique events you've filmed? 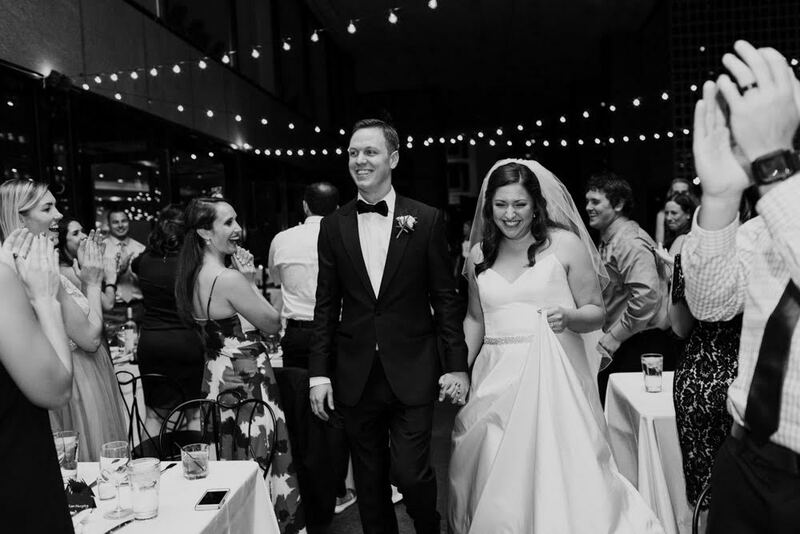 On a few occasions, we have arranged "first looks" to take place on busy public streets and, immediately after the bride and groom see each other, something spontaneous happens. One time it particular, a mess of 30 or 40 people dressed as Santa doing a bar-crawl walked by our bride and groom while the B&G were making out during their first look. [See video below at ~1:00]. It was completely unpredictable and hilarious. The best part is that we caught everything on film and were able to weave it into their wedding film. Staci+Joel Video by Leap Weddings. from Hi. We are LEAP Weddings. on Vimeo. See if you can spot the white-bearded wedding crashers at 1:00 in. ​Another unforgettable moment captured by LEAP! As a new dad, are your kids going to have the best home videos of all time, or will it just be all the more fodder to embarrass them with at their pre-prom get-together? Or have home videos become an antiquated concept in the onslaught of social media? I must admit that the majority of my home videos are captured on my cell phone. Children can be hard to predict so having my "real" camera on-hand is generally not the case. I feel like the quantity of videos that I capture is an average amount compared to the majority of people that I know with kids. It's too easy to pull out a phone and grab hilarious slo-mo footage or to capture all the many times that my three-year-old breaks out into song. The one thing that I enjoy more than anything is sharing photos and videos instantaneously with my family via the family sharing function on iCloud. I get to see updates from all my nieces and nephews every day and it feels great to be connected with them. As an aside, I can't help but imagine myself sharing the father daughter dance and giving speeches at the weddings of my two girls. I have certainly imagined a recap video of their childhood that could be played at those events as well. We'll see if they give me permission when the time comes. Are you working on any passion projects at the moment? I am currently working on a video for an organization in Kansas City called BoysGrow. They are an organization which focuses on educating intercity youth on agriculture, woodworking, entrepreneurship and a number of other skill sets. This is a passion project for me because I value the importance of understanding agriculture and the food that we eat but also because BoysGrow is an all-around good organization and I look forward to telling their story. One of my favorite songs/performances of all time is Stevie Wonder's version of "We Can Work it Out," by the Beatles. I know it's not a new song or anything, but hey... I'm old fashioned. It is super danceable and who doesn't like Stevie Wonder? 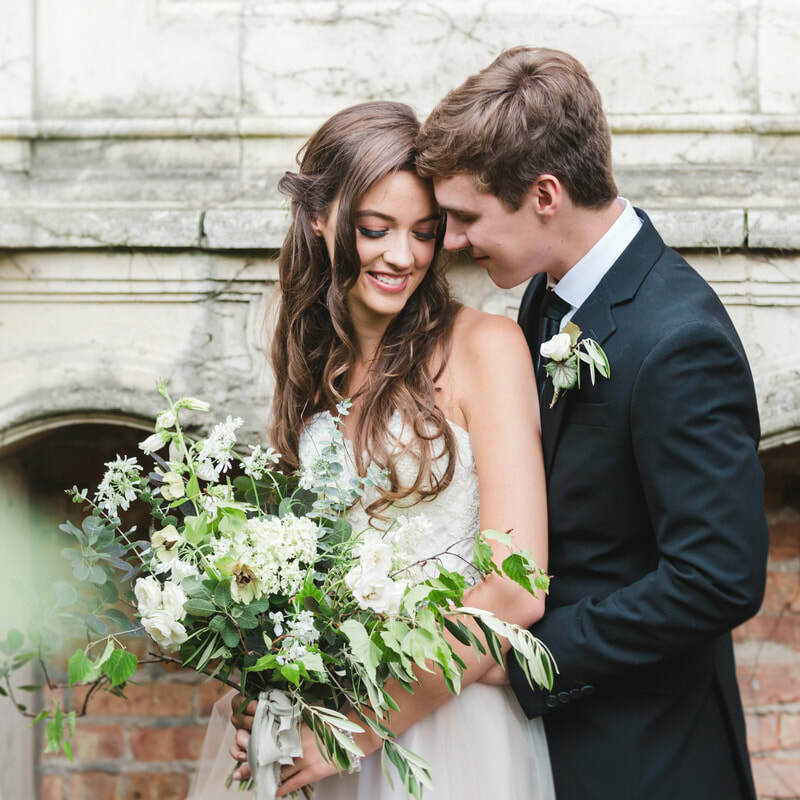 Want to work with Jack and the LEAP Weddings team? Read more HERE!